I recently purchased a new laptop with Windows 8 - now I'm pretty tech savvy software-wise. I've worked with most Microsoft operating systems from DOS to Vista to XP to Windows 7 and I embraced them all for their ease of use, logic and the way they helped me do what I needed to both professionally, creatively and at home. Windows 8? I'm not so enamoured. In fact OMG it's clunky!! Yes, yes I know, it looks pretty with the app graphics on the start screen, and yes I get that it's designed to appeal to smartphone/tablet users with the whole 'apps' thing. But using it on a standard laptop or desktop is not so fun. It's not all negative - there are some good features and I've googled and found several work arounds to get it working efficiently for me. I would like my 'Start' button back though Microsoft (if you're listening!). The great thing about a new gadget is it gives you a chance for a clean out, and reason to think about what you currently use/have software, and file wise and what you really need - I, for instance, have learned I have WAY too many photos of each of my sold pieces (avg 6 per piece!) and have purged 6248 photos I simply don't need - can't tell you how good that felt :). Microsoft Office - Word/Excel/Picture Manager etc. I use them for so much particularly spreadsheets for product costings, accounts etc. And of course Word is invaluable for product descriptions, letters, manuals, labels and more. 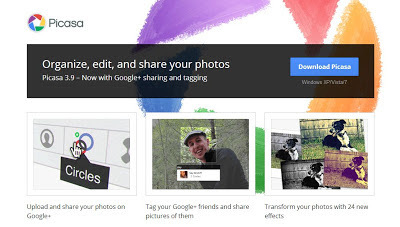 I use Picture Manager exclusively now for photo editing. I've tried the fancy programs including Photoshop and Gimp (free), but for simple, effective lightening, brightening and fixing your white balance, Picture Manager is fab. 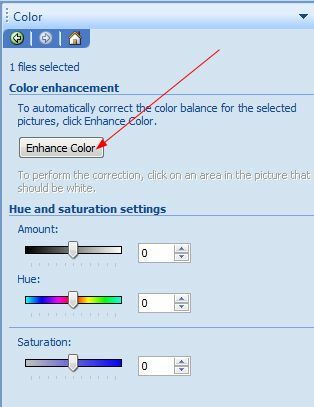 Click on 'Edit Pictures', Colour and tell me the below button is not the greatest thing since sliced bread to get a lovely white (or much lighter) background when clicked in a relevant dark spot. Picasa 3 - (www.picasa.google.co.nz ) - my pick for creating photo collages, Facebook cover photos, blog headers etc etc. LogMeIn (www.logmein.com) - with this installed (and the relevant app on your phone) - all free - I can access my laptop from my phone wherever I am and operate it remotely! 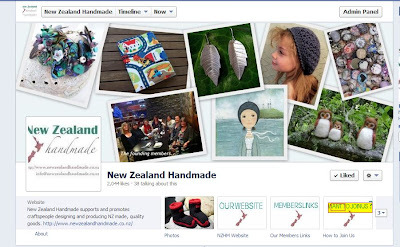 Windows Live Writer - I've written about this before http://www.newzealandhandmade.co.nz/2011/10/tool-for-bloggerswindows-live-writer.html but basically it is a (free) program which allows you to write a blog post (blogger and wordpress) off-line with lots of nifty and fun features and then easily upload it to blogger (etc) as a draft or publish it directly. So those are my top picks - and now I should finish uploading the free ones to my new laptop. I so hope they work in Windows 8!! Thanks for all these tips! I agree that Windows 8 is a pain for me right now - still trying to get my head around it! Thanks Mel - I been told the same about W8. Thanks for sharing re the other programs will be a lot of help as I "build". Yes me a new laptop too hopefully.